Yeah it’s kind of a lame header. Give me a break, it’s hard enough to find good images sober. My post for today is a special one. It may seem like a regular article. It’s got English words, some pictures, it’s uh... posted on TAY? But don’t be fooled. This no run-of-the-mill article. This article is being written by a drunk person. Drinking is portrayed in a lot of ways across various entertainment media, but rarely is it represented positively. At least, explicitly so. Drunk people in movies, TV shows, video games, etc. act stupid, make poor decisions, and wake up with debilitating hangovers. And while none of that is technically inaccurate, getting drunk responsibly can create some very positive experiences and enhance aspects of life that may be becoming stale. 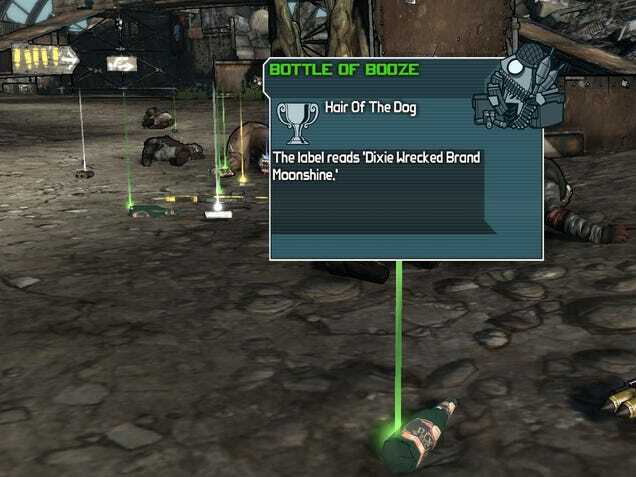 Case in point, the impact alcohol can have on competitive gaming. I have spent the majority of this evening (or yesterday evening, from your perspective) quite drunk, playing Overwatch with some of my friends from college. I have been having an absolute blast. Overwatch has been somewhat of a sore spot for me of late, with gaming sessions ending with frustration, boredom, or some unholy mix of the two. Everyone playing it takes it too seriously (including me), and I end up leaving the game more angry than satisfied. With a bit of booze, all of that melts away. Suddenly everything you do is funny, including dying in ridiculous ways. You become substantially worse at the game, but you could not care less. No matter what the outcome of your matches, you are always going to have a good time. We started our night with the intention of earning some bonus loot boxes for playing arcade matches, but that swiftly deteriorated into a custom game where we did nothing but try to kill each other as Hanzo. It was incredible. I honestly have not had that much fun with Overwatch since it came out two years ago. After we tired of those shenanigans, one of us had the brilliant idea to play some competitive matches. Normally, these are high octane, no-nonsense contests of skill and intensity. This time, they were silly attempts to succeed in a game at which all of us sucked. This made the sting of defeat all but entirely numb, and the thrill of victory all the sweeter. Hanzo is PRETTY HARD to play while drunk. Image stolen from Reddit, I am sorry. That isn’t to say that we were throwing games. All of us were trying our hardest, one of us was just severely inhibited from doing his best. With that said, my mood for every match was greatly improved by my drunken state. Every ult was an event. Every kill called for celebration. I was able to remain calm in normally stressful situations because at that moment they didn’t matter. As they shouldn’t, it is a game after all. Perhaps my impaired intellect allowed me to see through the veil of focus and competition and glimpse the true purpose of video games: having fun. Oh and also, one of the dumbasses I was playing with said he wanted a shoutout when I mentioned I was going to write this article. I can’t remember what username he wanted me to use, so I’ll just say his name. Here you go Paul. You made it into the article.